Up amongst the steaming piles of lava that cascade down from the Santa Ana volcano lies the cooperative Las Cruces, a small Fair Trade coffee coop. Ok, there’s no steaming lava, just miles of coffee plants. 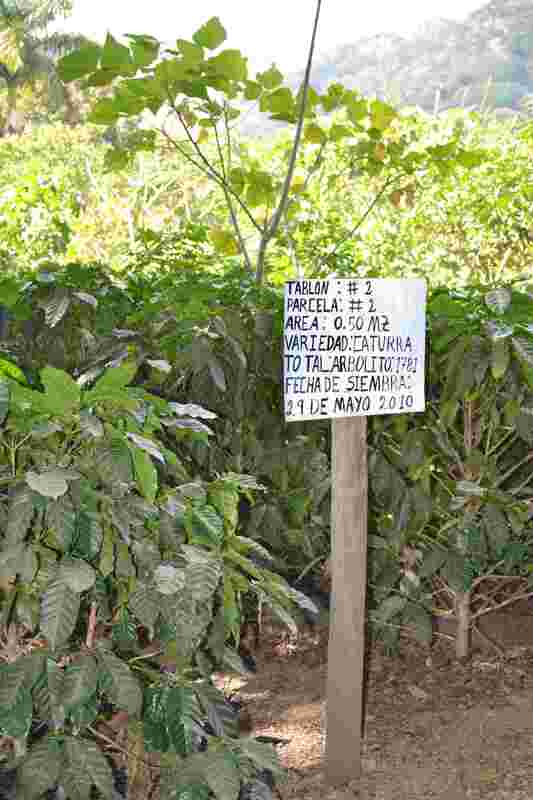 Hidden amongst those hectares of coffee on the north side of the Santa Ana volcano is the cooperative Las Cruces. It’s well hidden, just off the main road and easy to miss, even when I walked past their office. 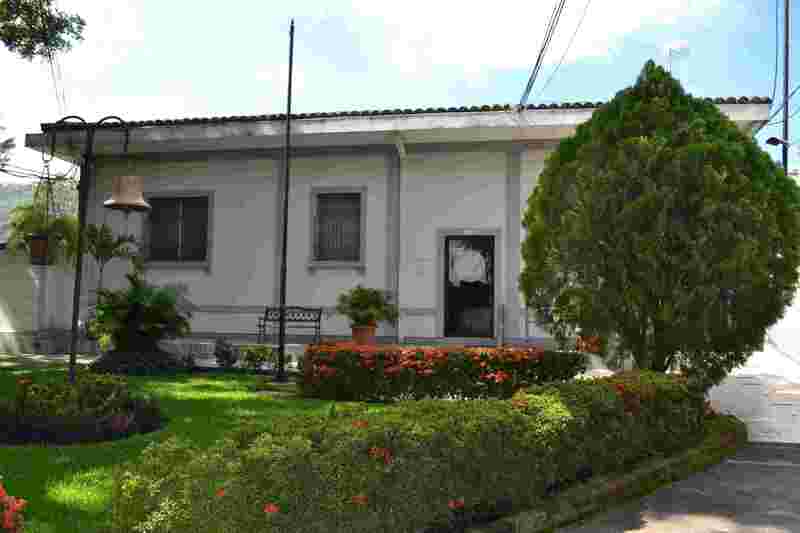 A two-room building, Las Cruces is a developing cooperative. I met Eduardo, the President, a slightly serious-looking and heavy-set bloke, at the office. It turned out their office had been built the previous year with their first Fair Trade “premium”. From the outside, you would never know. It’s all very low-key and primitive-looking. Las Cruces is a small co-operative and new to Fair Trade. Although in existence for 32 years, it’s only the last four years they have been involved in Fair Trade. Currently the co-op comprises 42 families, who roughly have a 2-hectare sized coffee plot. 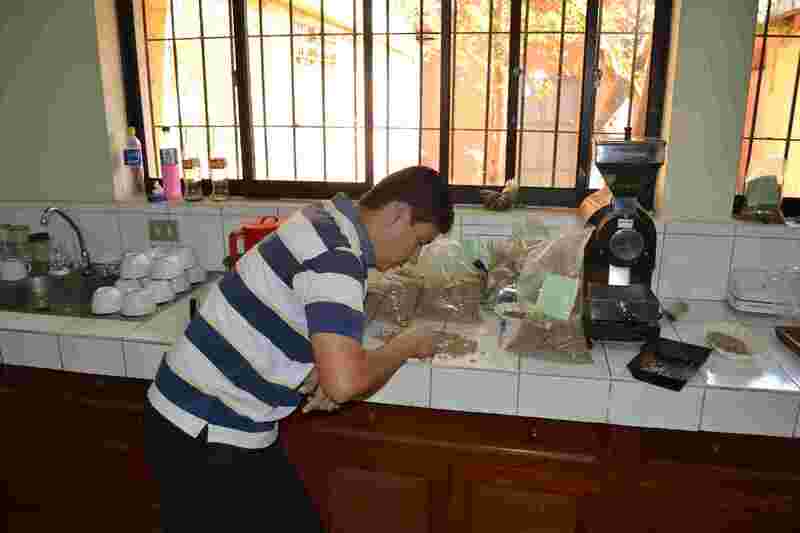 Their typical annual production is around 5,000 quintales (0.5m lbs) of green (oro) coffee. Most of it (80%) is for export. All is now Fair Trade. Eduardo told me why he thought Fair Trade works for them. 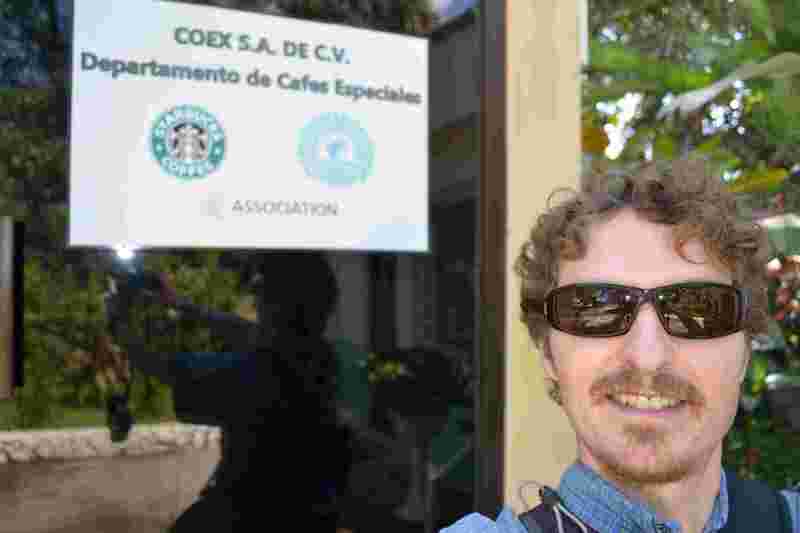 Although the typical salary of people in the area is similar for those inside of out of the co-op, he said that the community benefits from the “social premium” that Fair Trade certification provides. A typical salary for a worker is $140/month. The first Fair Trade premium was used to build the office extension and Eduardo said this year’s premium would be used to improve the access roads that the families use to access their coffee. He hopes more families will join the co-op. He believes that in doing so this would benefit the whole area by improving the living standards and health of all the local families. The dirt roads we took on a tour of the coffee areas were in fairly bad shape, though easier to navigate now that it was the dry season. Like I’d heard from other producers here and in Guatemala, Las Cruces received some serious rains that reduced the harvest this year. Eduardo said it would be an incredible 40% lower. Last October, more than 1000mm of rain hit the region in just over a week. The intensity of the rainfall meant that the coffee ‘berries’ fell off the bushes. Every producer I’d met had commented that weather patterns are unpredictable nowadays. For most, the changing climate is not helping. For several families this year, Eduardo said, they will need access to credit through the co-op, because of the lower harvest. The took our tour through the coffee area in mid-afternoon. The small size of the co-op means they do not have any beneficio on-site. 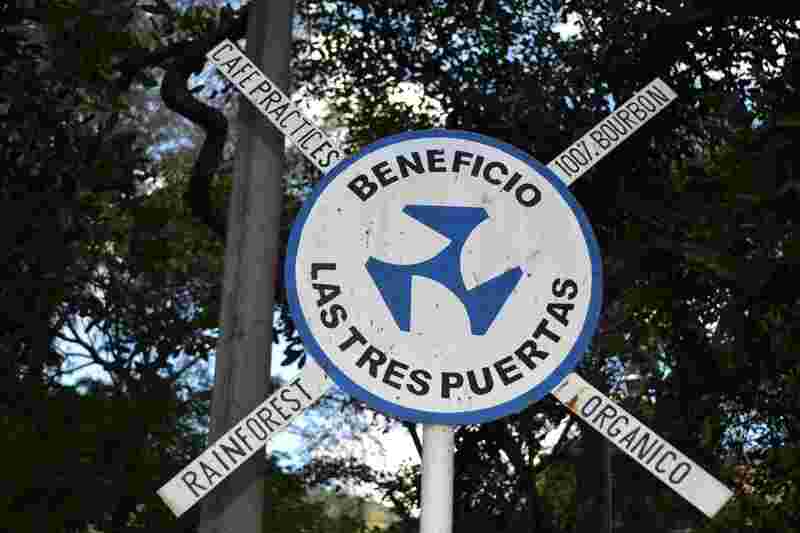 Therefore, to meet Fair Trade/organic standards (that require the coffee to be ‘washed’ on the day of picking) the producers must bring their coffee to be loaded onto a waiting truck that then drives to a shared facility at Los Pinos, a short drive away. It’s incredible the amount of work the families have to do at harvest time. Not only does everyone in the family get involved in coffee-picking, they work every day and they work long hours. 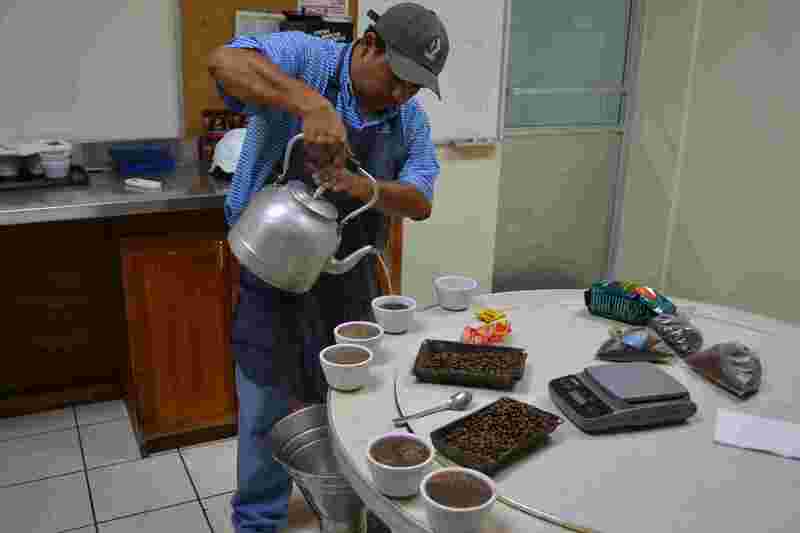 Starting before dawn, they pick coffee until early afternoon. Hauling the sacks of coffee to the collecting area is done on foot. From there, all the families sit and wait to load the truck. Although the atmosphere seemed convivial and light-hearted, the families must wait until their coffee is weighed and loaded up. They won’t be finished and until late afternoon. However, I got the sense that this is the start of the better future for the co-operative. Although they have proportionally high costs of licencing and inspections, they do have the potential to improve the lives of the local families, and Eduardo is using his 32 years of experience to give these families a better, more hopeful future. I had to hunt around for some coffee visits while I was in Santa Ana. 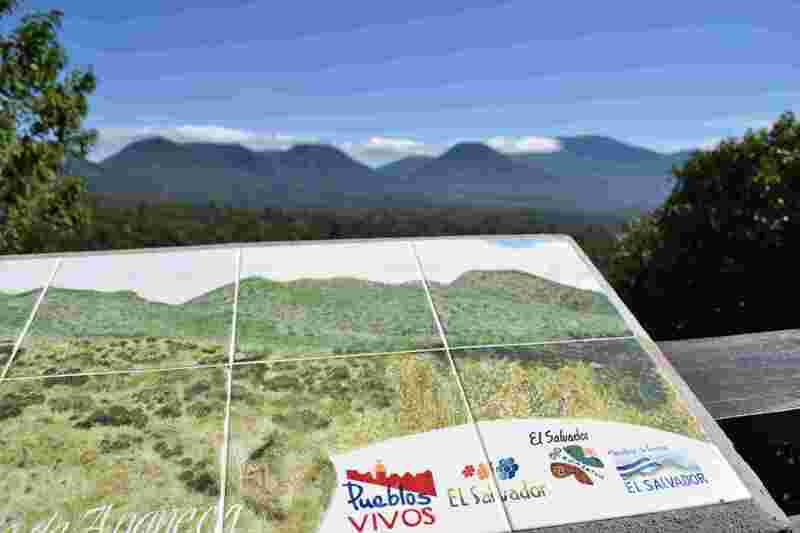 This area is rich in coffee fincas and Santa Ana is at the heart of the Salvadoran coffee industry. As Fair Trade findings were hard to find, I thought I’d explore some other options. Two of the ones I found were large-scale operations and quite different to what I’d seen before. 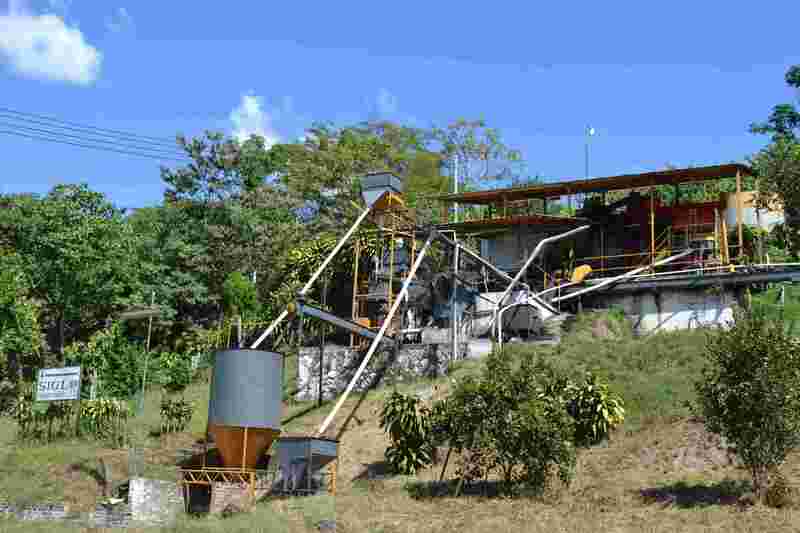 Both facilities had armed security, a common sight in El Salvador. My first visit was to the beneficio “Tres Puertas” (3 Doors) of J Hill & Co., a coffee exporter that has existed since the late 19th century (by James Hill, an Englishman no less). Another visit was to the El Trapiche beneficio of COEX, an international company that grow, process and roast coffee for national and international markets. I heard about J Hill from a magazine article about one of its producers and I hoped I’d get the chance to meet this producer. Unfortunately I never did, and my time at J Hill was limited. Aldo, my ‘tour guide’, was fairly busy when I arrived. Sometimes it’s difficult to express why I show up at these places and I think because J Hill isn’t an organic/fair trade producer Aldo perhaps thought there wouldn’t be much of interest for me to see. He did give me a contact for another cooperative that I found later in the week though. I managed a little look around and could see the scale of their operation. It’s a lot larger than what I’d seen before then and very professional-looking. Up-to-date offices, a manicured garden and clean and well-dressed staff. Producers with J Hill are typically fincas, which are larger-scale and typically ineligible for Fair Trade certification. 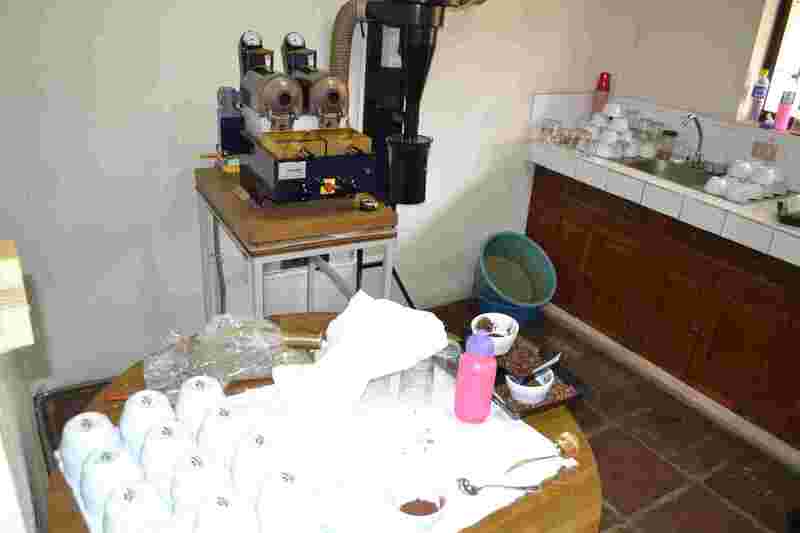 I also got a quick glimpse of the ‘cupping lab’ where the catador (cupper) conducts daily quality checks on the coffee. This was new for me to see a setup like this, and really interesting. I didn’t see the cupping in action, but it’s an essential part of checking coffee quality (and not just something that coffee geeks do to make themselves feel superior). The next day I visited COEX. 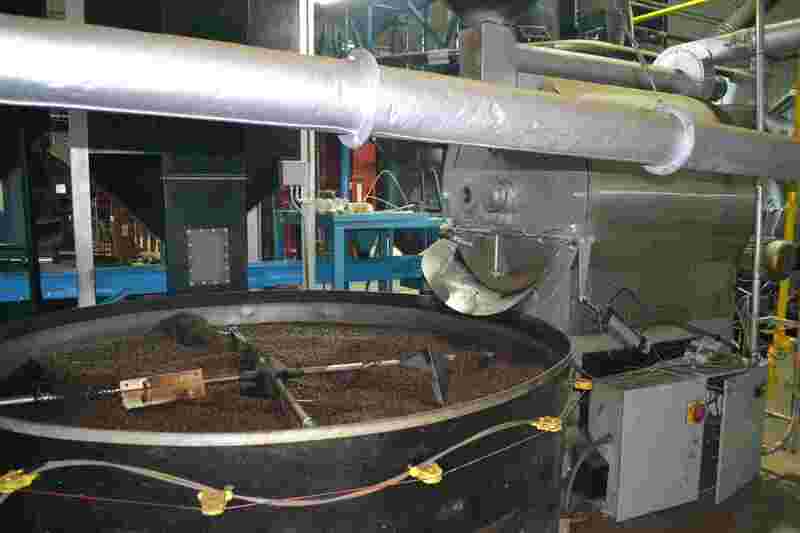 They were very accommodating and I got to see their torrefaccion (roasting process). Warner was the chief guy here and he gave me the guided tour. Afterwards I also met David, who told me a little more about COEX itself. Again I had a novel experience, as this processing was on a scale I hadn’t seen before. From the number and size of roasters (four, roasting 100kg at a time), to the ‘control room’, to the huge grinders, packing facility, it was just big. 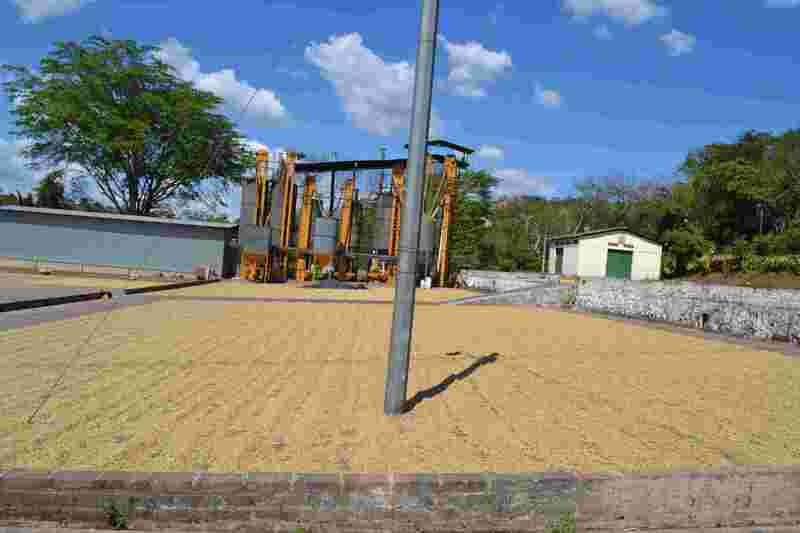 In 2010 they exported close to 2m quintals (1 quintal is approx 100lbs) of green coffee. I knew there was no Fair Trade coffee here but I was interested to see what the alternative looks like. 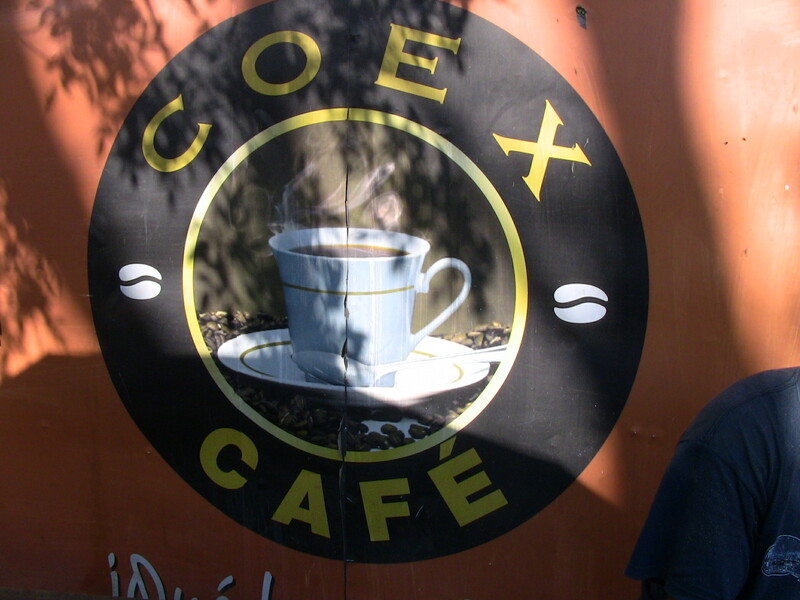 COEX have offices in the US, Guatemala & Honduras (and beyond). There is no organic certified coffee. 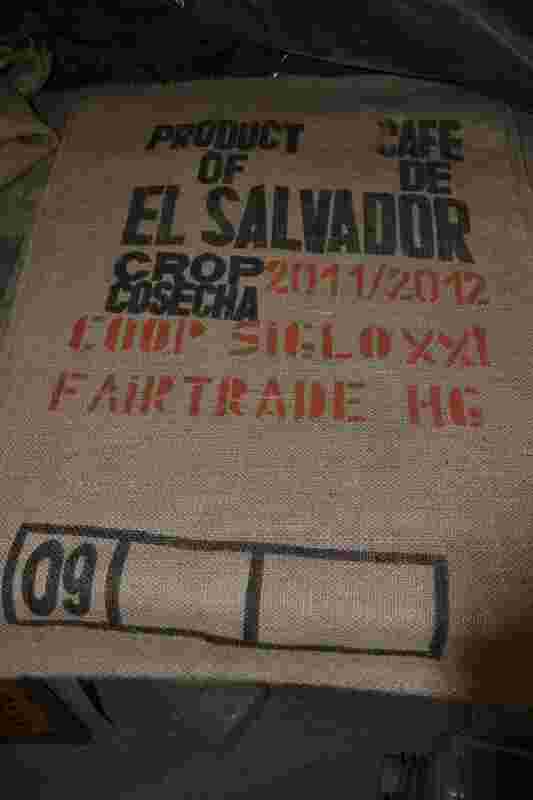 David told me it is a very ‘complicated’ process for certification, so they export as conventional. A small number of COEX-owned fincas are Rainforest Alliance and “4C” certified (4C is a certification I know little about). Starbucks buy coffee from COEX. They also sell roasted, ground, coffee for Central American markets. 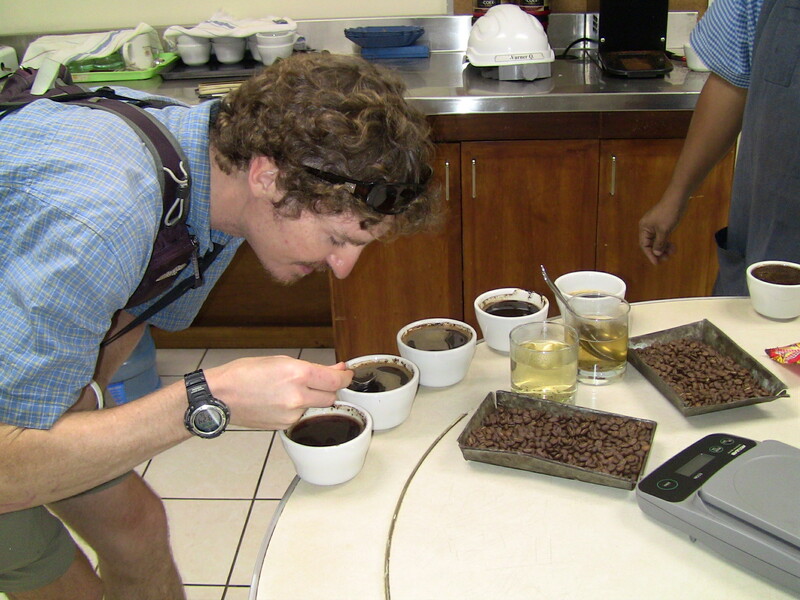 I got to the cupping lab and this time got a chance to slurp and spit. Unfortunately, COEX makes two rather disgusting brands of coffee (as well as it’s ‘regular’ coffee). 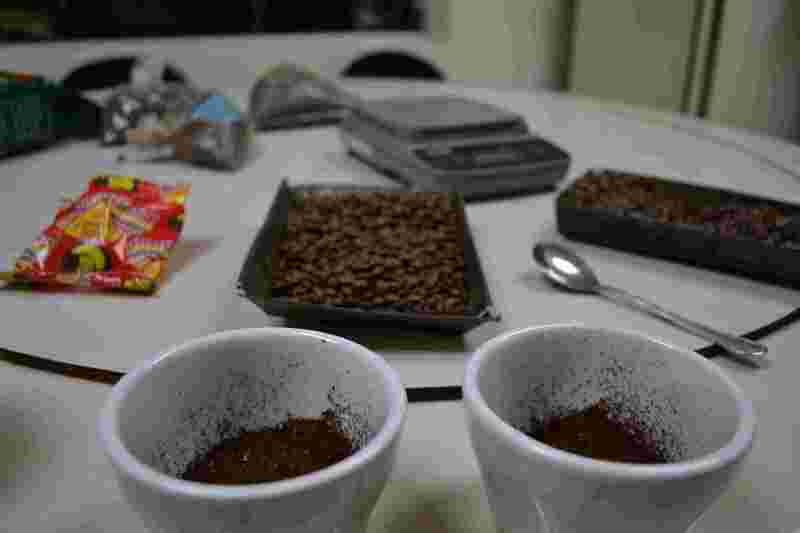 One is “Cafe Criollo”, which mixes coffee with corn (maiz); the other is instant coffee. Ronald, the cupper, has to check these every day. Poor bloke. COEX are large enough that they control the supply chain of their coffee. Producers bring the coffee to COEX (COEX own some fincas too), the coffee is washed, dried and bagged by COEX, and exported by them or bought directly by their buyers, with whom they typically have long-term contracts. The supply chain is therefore relatively short. For the producers, they typically receive market rates, but COEX do offer credit facilities and some other benefits for producers (workers at J Hill also receive benefits such as access to medical facilities). Because of the large size of the fincas, hired help is a requirement at harvest time. The going rate (minimum) for a coffee-picker is about US$1 per 25lbs of coffee (the whole cherry). An average worker will pick 125lbs in a day. So roughly $5 for a day’s work. But I sense that this a good wage for many people. 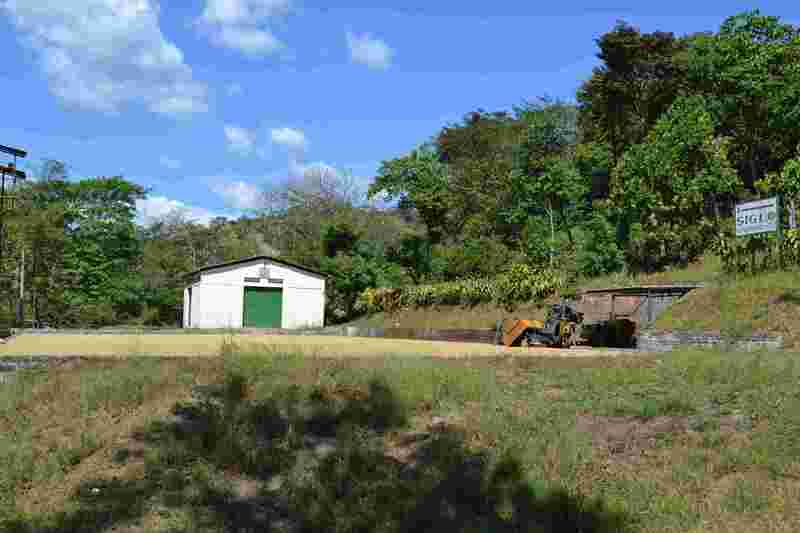 A typical finca can employ 300 workers during harvest time. As I see repeatedly, for those at the sharp end of commodity production, life is hard. Robert looks like the sort of man who isn’t shy, and so it proved. Coming out to meet me when I arrived at SIGLO XXI unannounced, he greeted me warmly and openly and, to my surprise, in English. He is well-built, confident and, as I discovered throughout my visit, quite outspoken. 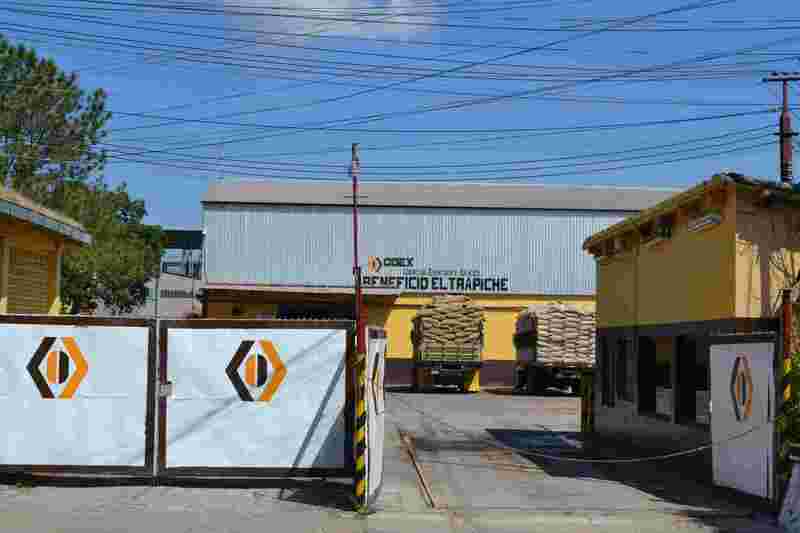 In Ciudad Arce, on the road between Santa Ana and San Salvador is the cooperative Siglo XXI (21st Century). 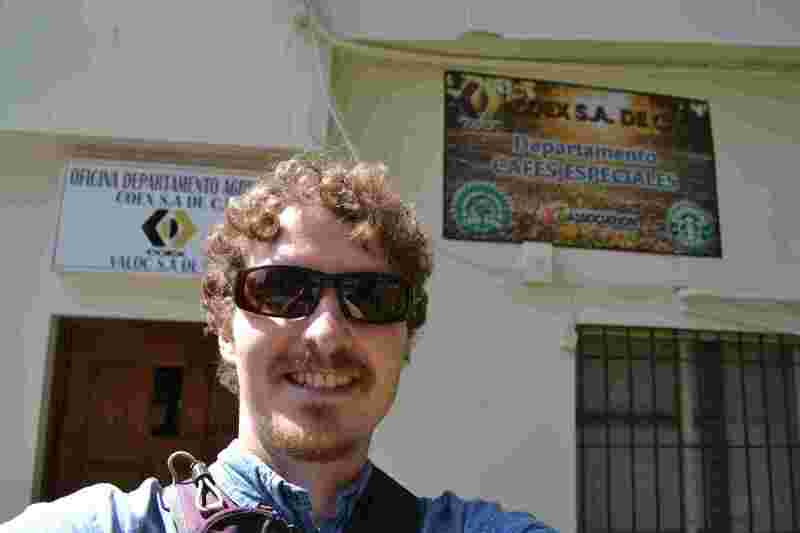 It was my first look at a Fair Trade cooperative in El Salvador and I was keen to see how it compared to my other visits. 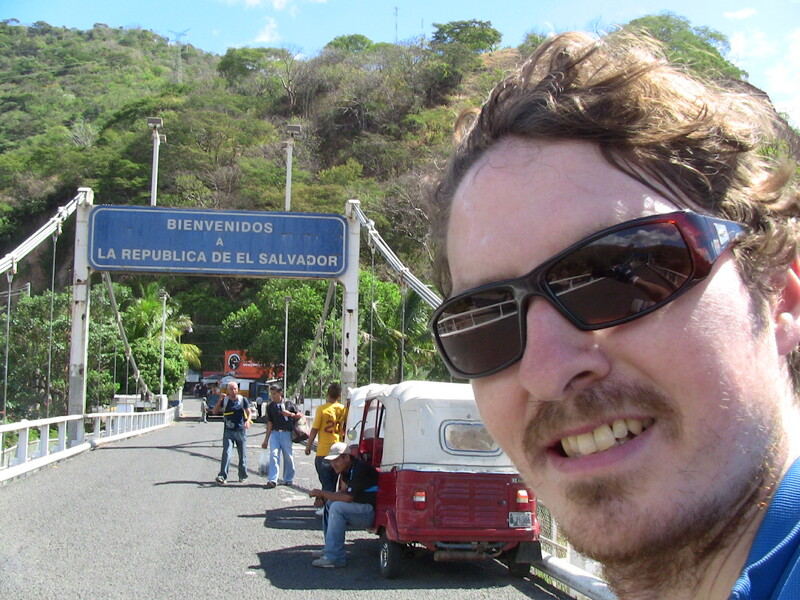 After getting through security (like most places I saw in El Salvador, there was an armed guard at the front gate) I met Robert, who was happy to show me around. Luckily for me he spoke excellent English, having lived in the US for several years. He has an entrepreneurial spirit and that is reflected in the way Siglo XXI operates. He called it a mix of co-operative and enterprise. The structure of the co-operative is run more like a conventional business and the coffee production runs on co-operative principles. It is comprised of both small- and medium-sized producers. Having medium-sized producers typically makes them ineligible for Fair Trade certification. 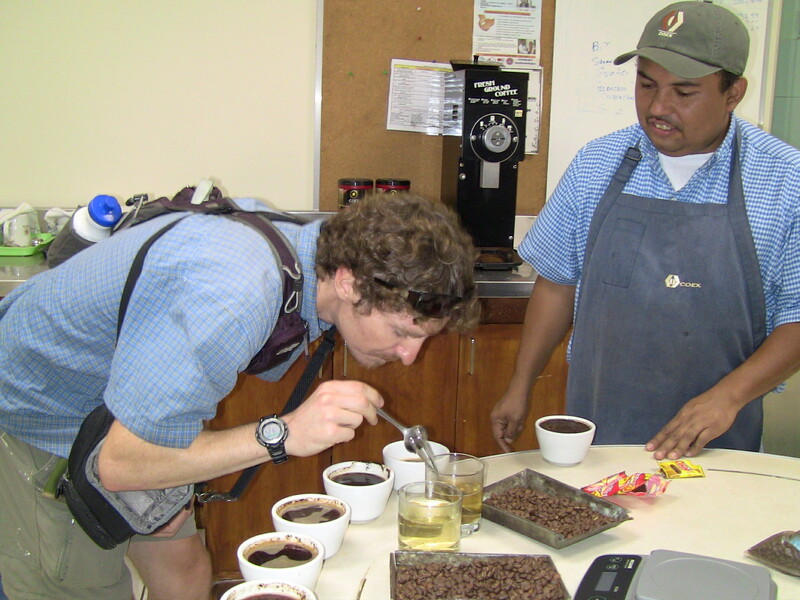 For these producers, Siglo has “Rainforest Alliance” certified coffee. Small producers are Fair Trade certified. The coffee is always kept separate for these different certifications. Robert showed me the processing area, which overlooks the large drying patios. There were several staff outside, working on drying the coffee. He said it’s typically a male job because of the number of hours they need to spend outside in the heat. Robert feels as though he has an ‘ethical’ business approach. To make money but also to ensure the livelihoods of the farmers are looked after. 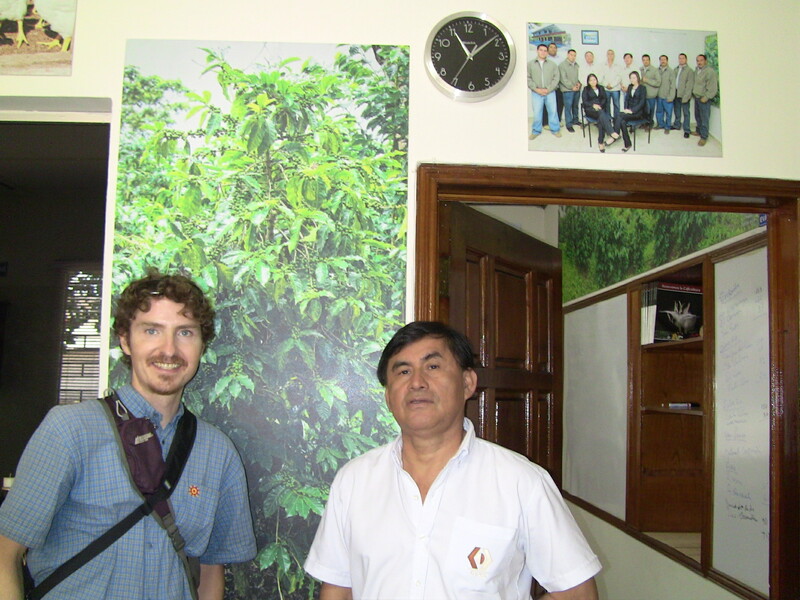 He is a 5th generation coffee farmer, and both his son and daugther are looking to become the 6th generation. He has a passion that comes with the family being steeped in coffee. 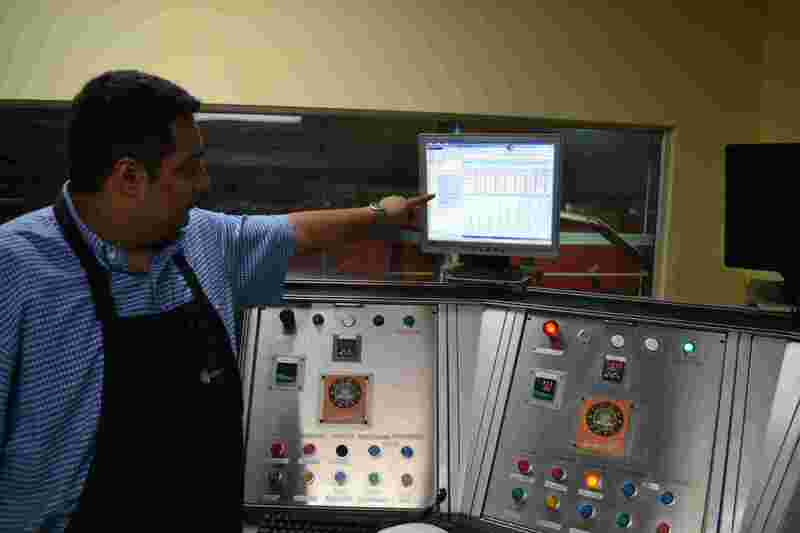 Having been in the coffee business for so long, Robert has seen the ups and downs over the years. 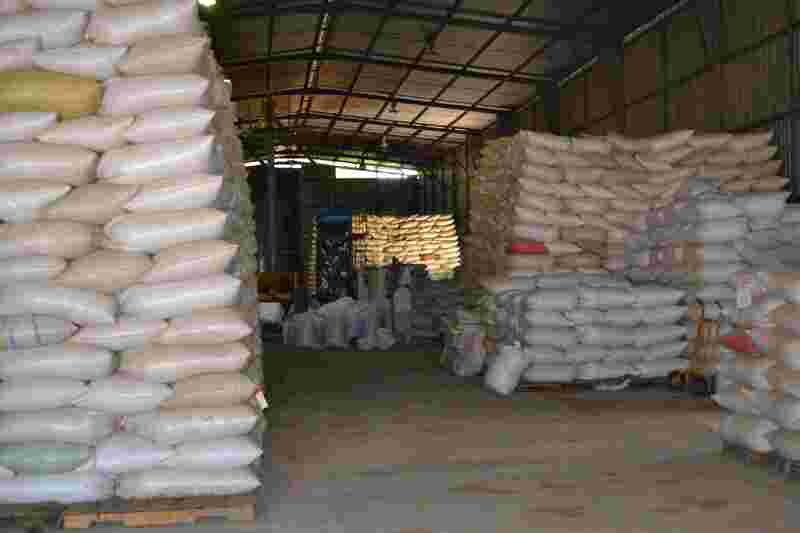 About 10 years ago, during the ‘coffee crisis’ (when prices dropped precipitously), more producers tried to increase their amount of coffee production to offset such low prices. This exacerbated the problem; the more they produced, the more money they lost. This season is also significantly lower than normal, due to the huge amount of rainfall received in October. The Siglo site was flooded, and I saw where the water had reached about 3 feet high in the warehouse. They’d done an amazing job to have cleared it up in a short time, it looked like nothing had happened. 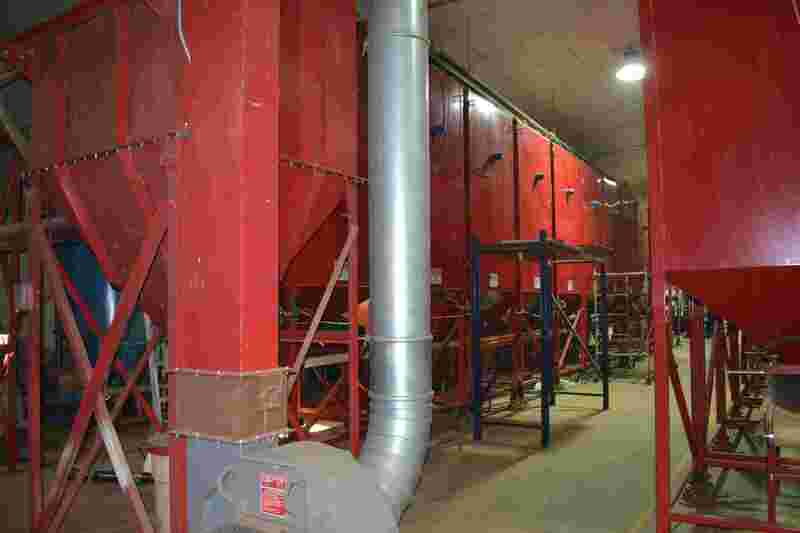 Insurance covered their losses, but the low harvest means the Mill won’t recover its losses. However, for Robert, this is part of the natural fluctuation. The good and bad cycles happen, and he was very philosophical about it all. 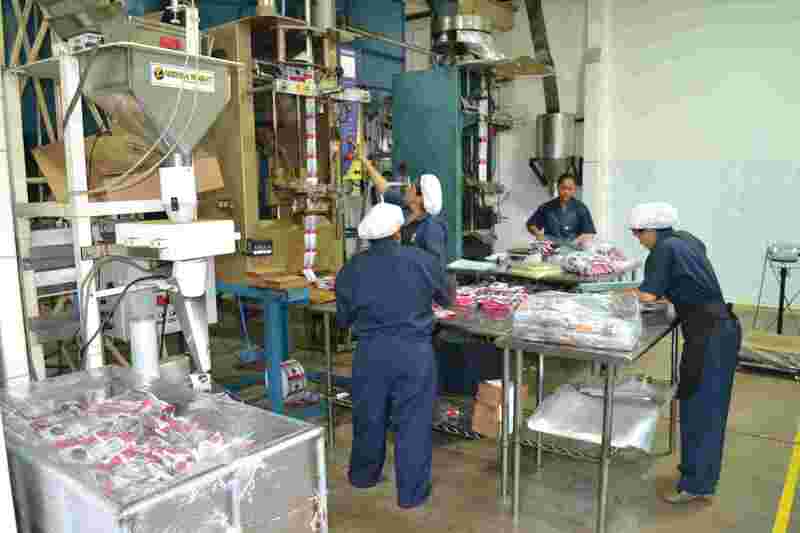 For the producers, they get food provided on-site, that comes with the help of the Fair Trade ‘premium’, and the few permanent workers here live on the site too, with their families. Their coffee is exported to Europe, and being “Rainforest Alliance” certified means he deals with some large multinational corporations. It’s a different philosophy from Fair Trade (its focus is the environment, rather than social conditions), but it does have some benefits. Robert also has a passion for politics and his country, El Salvador, but alas we ran out of time for more discussion as Robert had to leave. Robert studied in the US and returned to coffee here, and his daughter, currently studying in Europe, will do the same. It’s a nice thought that this cooperative will be in good hands. Robert drove me back to the bus stop. Crap picture, so if you’re looking Robert, I apologise! 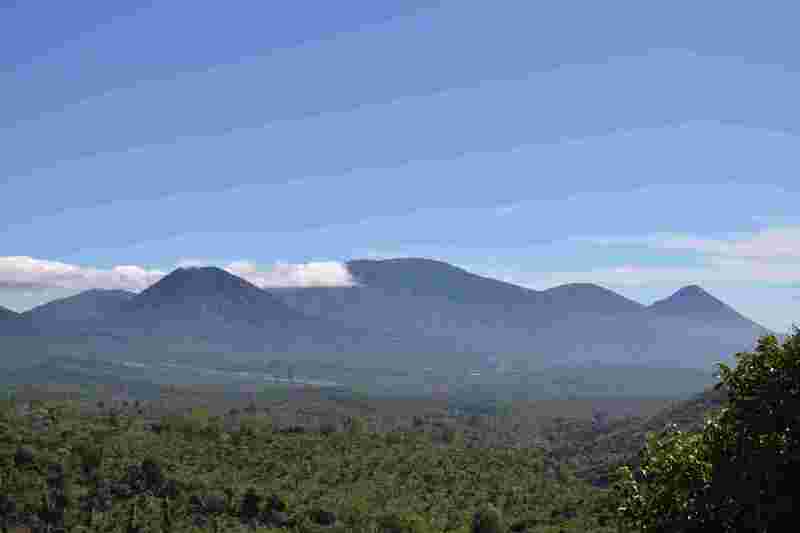 From Juayua. a picturesque little town snuggled amongst western El Salvador’s volcanoes and coffee farms, it’s a short distance to some spectacular waterfalls. I’d been told it’s advisable to take a guide, but it being a short walk I thought I’d wander there anyway and see where I got to. Halfway down the dirt road I spotted a little ‘car park’ off to one side and general activity that was out of keeping with the rest of my walk. A quick look and I noticed a couple of tour buses and a group of people that were distinctly non-local. I decided to join them, as surely there was only one place they were going. Strangely no one seemed to notice my arrival, or cared enough to say anything. Even the security guard who was accompanying the group was indifferent, or ignorant, of my joining them. I had to laugh at the assortment of people. American and eastern European accents filtered through to my ears. Loudness prevailed, from the talking to the clothing. It was surreal and I felt like I’d been teleported into a new world because it was so far removed from all my travelling experiences. Everyone was wearing a wrist band, which I later found out made them members of whatever ‘all-inclusive’ resort they were staying in on the coast. A day out for them, up into the mountains. 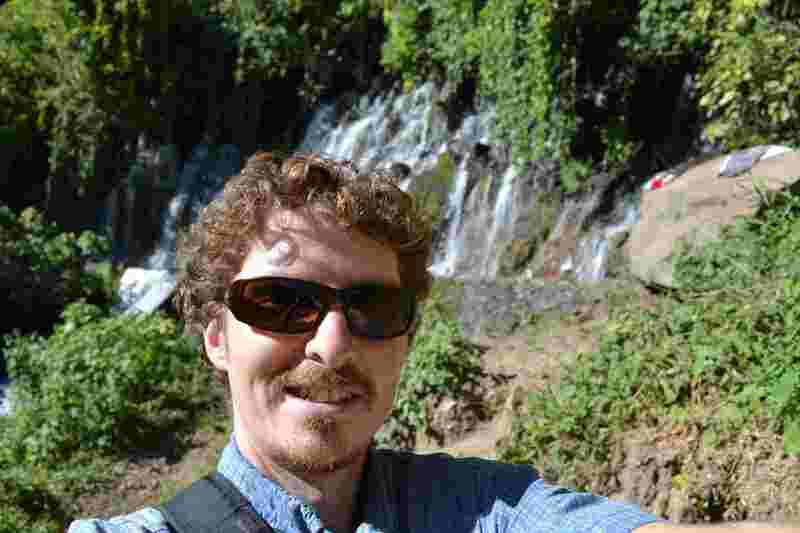 I figured it was safer to stay with them but it didn’t take long to reach the waterfalls. Other tour groups and locals were enjoying the water, as it roared out from cracks in the rocks. 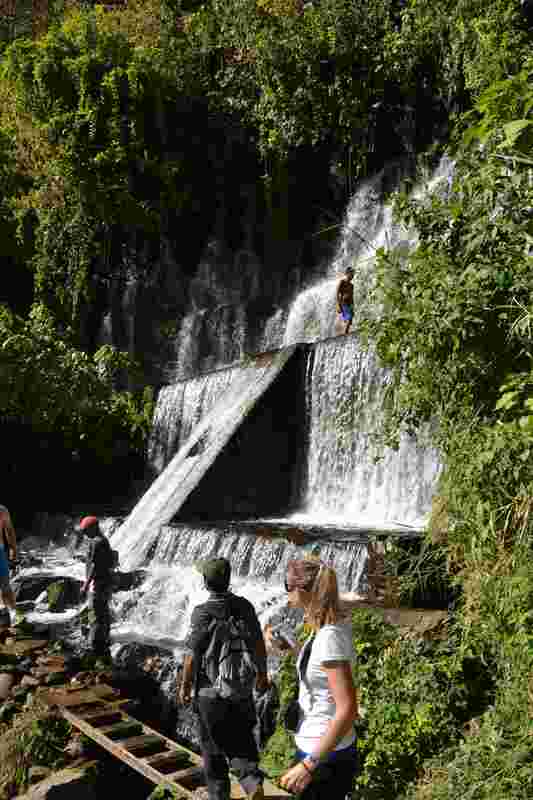 A hydroelectric plant was located nearby that takes advantage of these waters, and also created pools that locals took great enjoyment in swimming in. 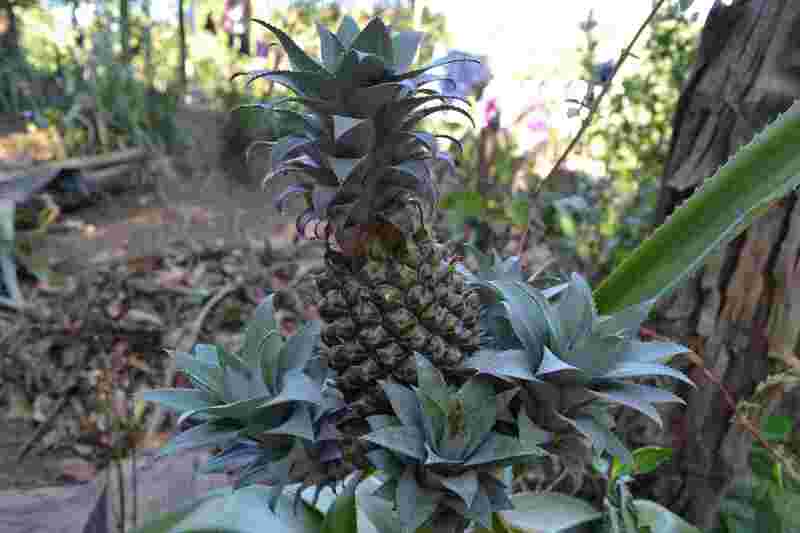 The ‘tour route’ took me past this dinky little pineapple tree. 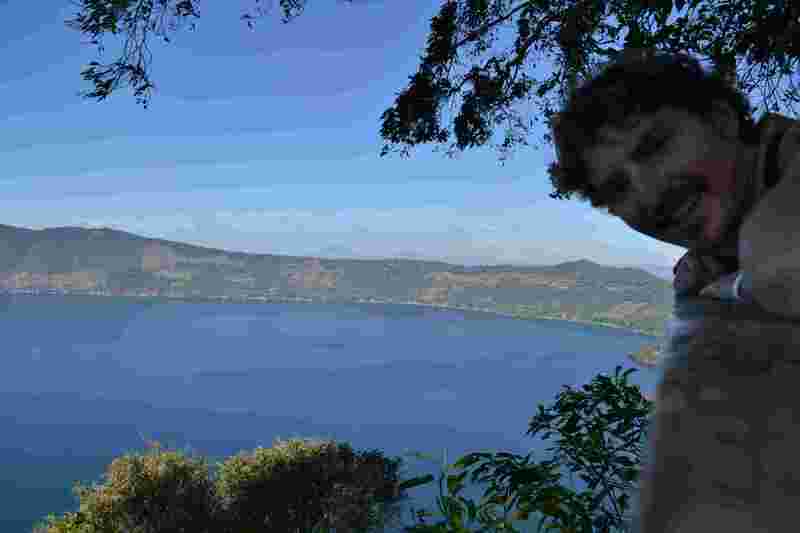 My first live pineapple sighting..
Fresh organic and fair trade coffee with a lake view on a sunny day. Who could turn down such an opportunity? 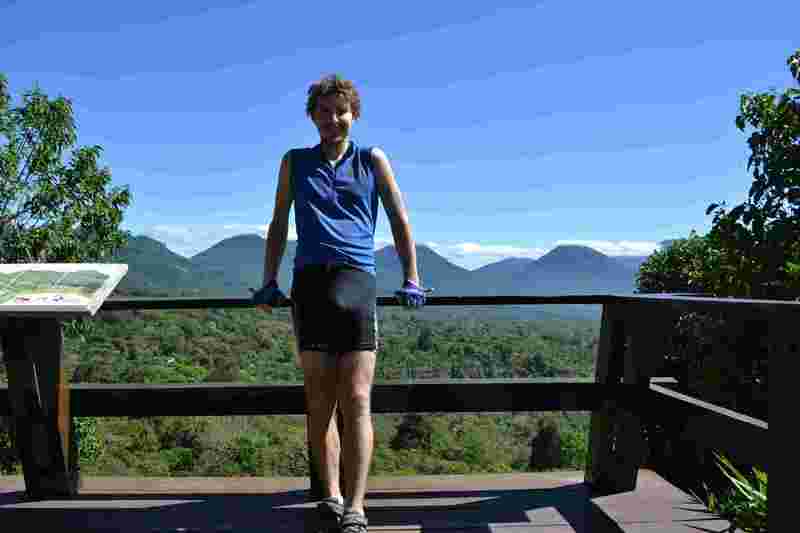 Certainly not me, and so I took myself off from Santa Ana and headed up to Lake Coatepeque. 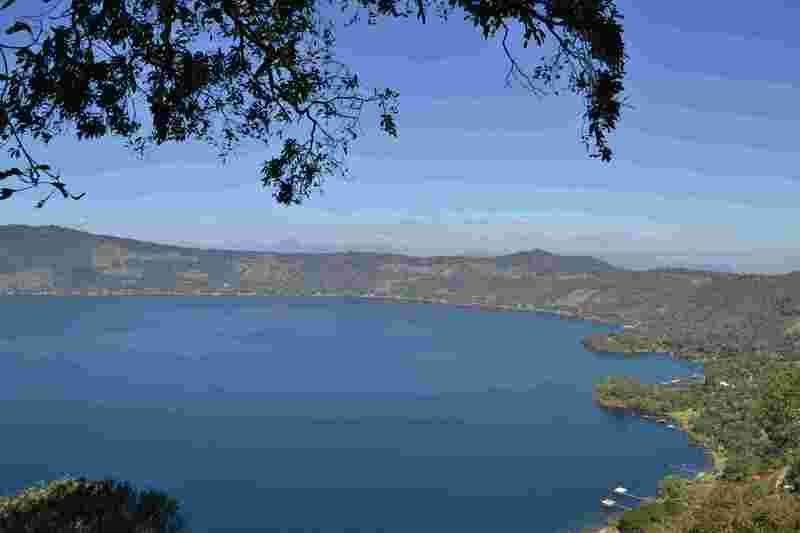 A stunning lake sat snugly within an ancient volcanic crater, it was a perfect backdrop for a day out to Los Pinos. 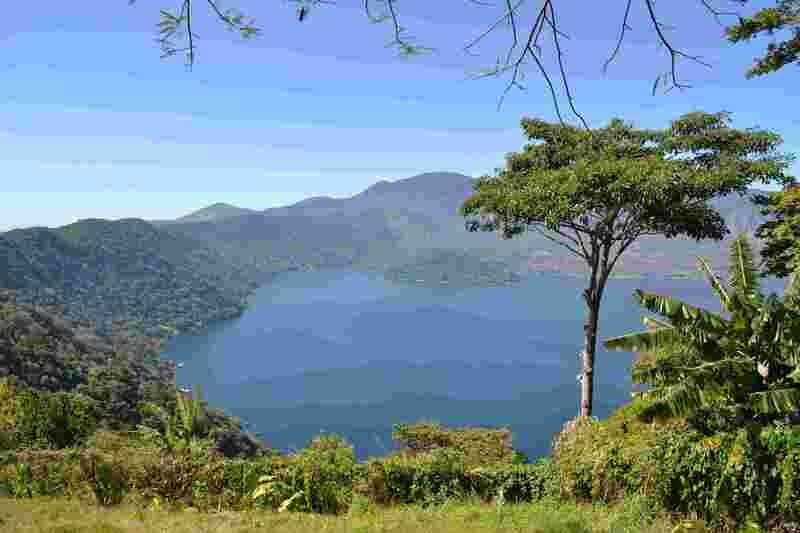 Cooperativa Los Pinos lies high up on the eastern ridge of the lake. 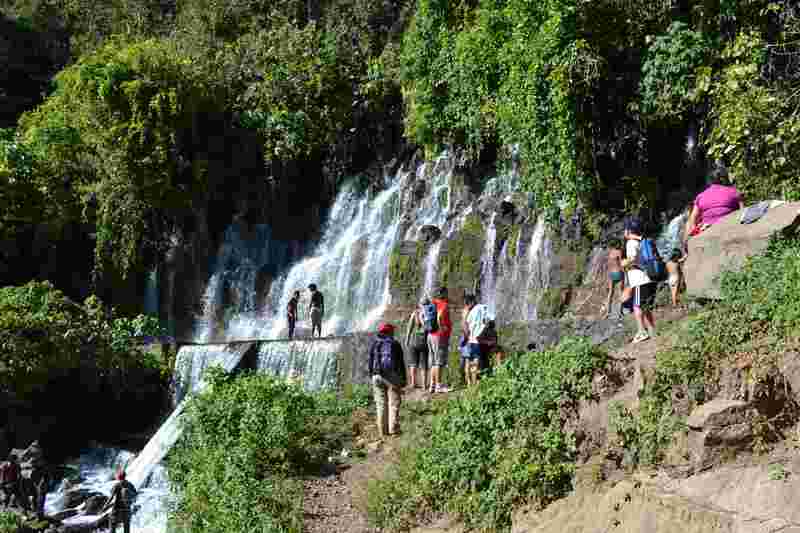 It is an interesting cooperative that combines a community-oriented business with tourism. I made it up there on a Sunday. I knew the restaurant would be open, and hoped that someone would be available to talk about the cooperative. Unfortunately, the office and all the knowledgable staff were taking a day of rest. Good for them of course, and my ‘drawback’ was that I had a bit more time to sit in the open-air restaurant and have my Los Pinos coffee. Later I took a walk through the coffee cafetal down towards the lake. Those lucky enough to be well-off in El Salvador have cornered all the available real estate around the lake but it was nice to get a little closer and admire the views on the way down. 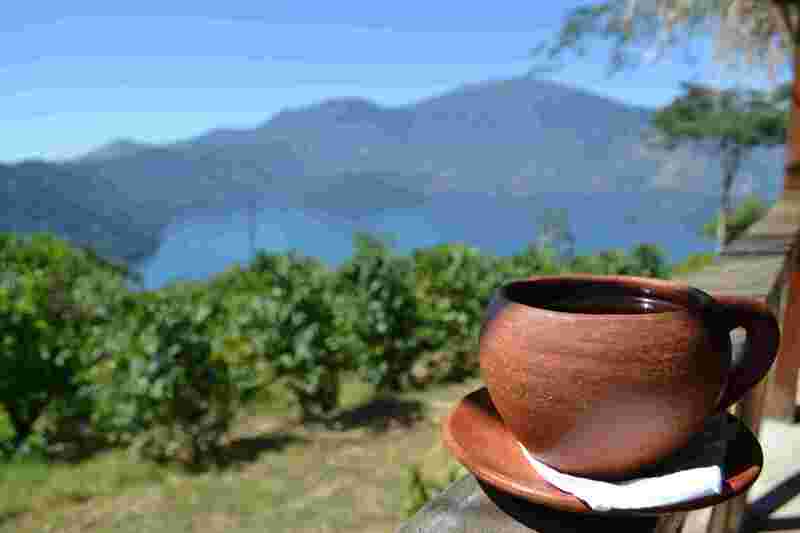 The coffee grows on very steep slopes here but the volcanic soil is fertile and the coffee variety (mostly bourbon) highly regarded. It was unfortunate that I didn’t learn much about the co-op on my visit, but I did subsequently learn that this is where the Las Cruces co-op (previous post) brings its coffee for depulping and drying. 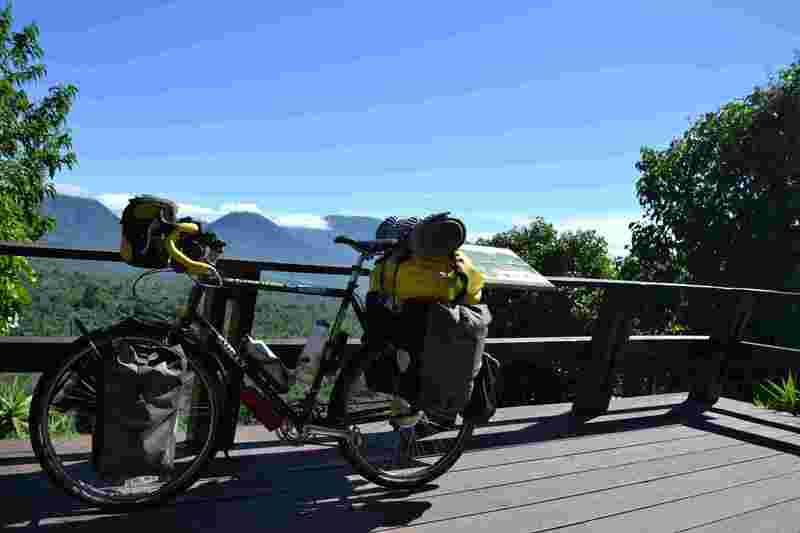 The co-op does serve the local community, and encourages eco-tourism. As well as the restaurant, there are little bungalows for tourists to stay and guided walks were available for tourists too.